If your partner used to manage the budget for some or all of the household finances, taking these on after they die can feel overwhelming. Follow these steps to find out how to take control of your money. You may like to watch our animation video below for information on budgeting after your partner dies. It's important to keep on top of all your household bills so that you don't get into arrears. Gather together your bills and make a list of all the companies and organisations you pay regularly. Pay any urgent bills and any arrears. If any bills were either in your partner's name or joint names, get them changed to your sole name. 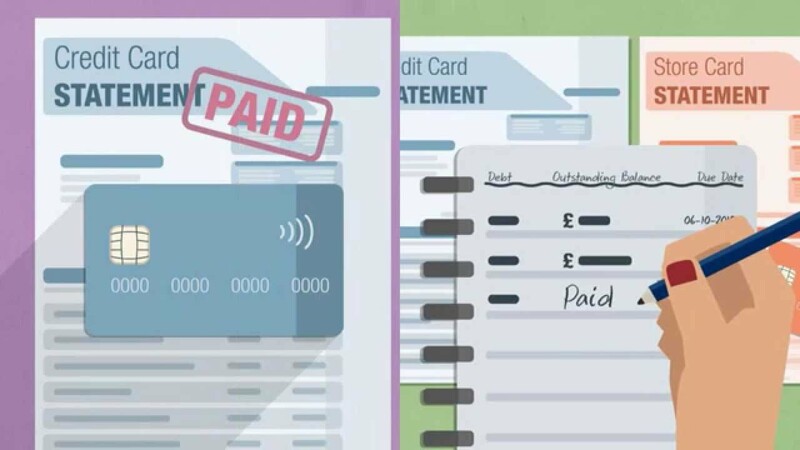 If any of your household bills were paid from a bank account in your partner's sole name, notify the company and change the payment details to an account in your name. Making sure you have access to at least one bank account will mean you can deal with all the household bills. It will also mean that people can make payments directly to you. If there are joint bank accounts, get them put into your sole name. If you don't have a bank or building society account in your name, open one. You need to know exactly what you owe so that you can keep up with repayments and avoid getting into arrears. Gather together all the paperwork relating to credit cards, store cards and loans and make a list of any money owed. Cancel any cards that are paid off and that you don't need. For any joint cards or loans, make sure you keep up with your repayments - you'll continue to be responsible for paying these. If your partner had any cards or loans in their sole name, then the outstanding balance will need to be paid from their estate. If you are struggling to keep up with credit card or other repayments, contact the companies involved as soon as possible. Knowing exactly what you've got coming in and going out is essential if you want to stay in control of your money.